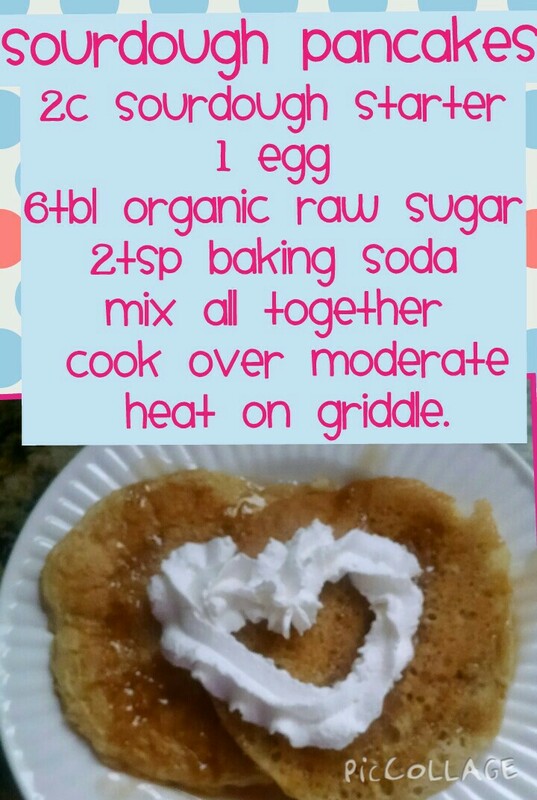 In honor of National Pancake Day I am sharing our favorite pancake recipe. They are so yummy and not gut heavy like most pancakes. Plus they are healthier for you. Well, as healthy as a pancake topped with syrup and whip cream can be. Hope you enjoy them as much as we do. If you do not have sourdough starter you can get some here. I know that means waiting to try these yummy pancakes but trust me once you’ve tried them its hard to eat regular pancakes ever again.